The Science and Industry Endowment Fund was founded by statute (SIE Act) in 1926 at the same time as the predecessor organisation to CSIRO – the CSIR. The original endowment provided by the Federal Government was one hundred pounds. While the Fund has been quietly active since this time, CSIRO’s gift to the Fund in 2009, made possible from proceeds of its fast wireless local area network (WLAN) technology, has allowed it to be rejuvenated as an endowment mechanism for science in Australia. The Science and Industry Endowment Fund has played a vital role in supporting the development of Australian science and scientists since 1926. A paper about the History of the Science and Industry Endowment Fund, authored by Prof Tom Spurling and Susan Smith has been published in the Historical Records of Australian Science. The article is titled “The Science and Industry Endowment Fund: Supporting the Development of Australian Science” and provides an engaging account of the significance SIEF has played in supporting preeminent Australian scientists over its ninety year history. The paper is an invaluable record of the history of SIEF. You can read the article here. The Science and Industry Endowment Fund (SIEF) has supported many students, often at overseas placements, by way of a studentship, or grants to cover expenses such as the cost of travel and courses or supplementing a scholarship. In 1938, Maxwell (Max) Day was employed as an Assistant Research Officer at the CSIR Division of Economic Entomology and almost immediately was assigned to work with Professor Lemuel Roscoe Cleveland of Harvard University who was visiting Australia to study protozoa of the termite gut. Cleveland invited Max to come to Harvard as his personal assistant and to study part-time and Max received support from SIEF by way of around-the-world ticket and fees for his course at Harvard University. On his voyage to America, Day stopped in South Africa to collect Stolotermes termites for Cleveland. His boat from Liverpool to Boston was crammed with Jewish refugees fleeing Europe and he arrived in Boston a few days after the devastating hurricane of 1938. The receipt of a Lehman Fellowship (1939–1941) eased his financial difficulties. He received his PhD from Harvard in 1941 for a thesis on protozoan symbionts of termite guts. 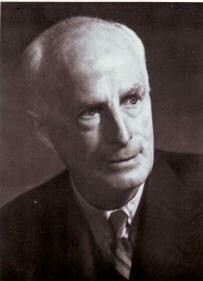 The outbreak of World War II meant he was unable to return to Australia and during the war years he accepted a position as instructor in parasitology and cytology at Washington University, Missouri (1941–1942), became the Procurement Officer with the Australian War Supplies Procurement (1942 to 1944) and then became the Scientific Liaison Officer in Washington for CSIR (1944 – 1947). He returned to Australia in 1947 to work as a Research Officer in the CSIR Division of Entomology. Among other topics, he worked on the mosquito transmission of the myxomavirus. In 1955–1957, he returned to Washington DC to work in the Australian Scientific Liaison Office for CSIRO. From1966–1976 he was a member of the Executive of the CSIRO (and therefore a Trustee of SIEF), then in 1976 he was appointed the first Chief of the CSIRO Division of Forest Research and remained in that position until his retirement in 1980. He continued his entomological research as an Honorary Fellow at CSIRO in Canberra until his death in July 2017. Max was elected a Fellow of the Australian Academy of Science in 1956 and was made an Officer of the Order of Australia (AO) in 1977. 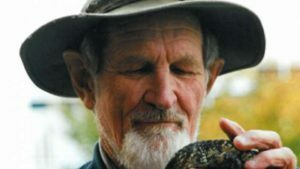 Harry Butler was a champion of conservation and was funded by SIEF to conduct important field research on snakes (source: WA Museum). The Science and Industry Endowment Fund has supported many grass-roots science enthusiasts, educators and associations throughout its history. One example is a study grant of £100 given in 1959 (approx. $2,689 in 2011) to W. “Harry” Butler, a member of the Western Australian Education Department. 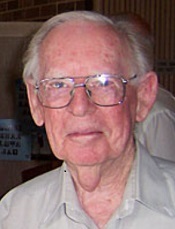 Harry was stationed at the Western Australian Museum, where he was engaged in natural history instruction to school museum classes, and was seeking financial assistance to further his field investigations on the speciation problems in the brown snakes Demansia nuchalis and D. affinis. The grant was used to meet travelling costs involved in systematic collecting of specimens along transects over the species distributional range in south-western Australia, and for captivity studies. Dr. A.R. Main of the Zoology Department of the University of Western Australia, supporting Harry’s application, stated that the problem he wished to examine was complex and required extensive field work before it could be elucidated, and that he had the support and cooperation of professional zoologists. Eminent Australian ornithologist, Dr D.L. Seventy, of the CSIRO Wildlife Survey Section, also strongly supported the application, and said that the paper which Harry would produce on the work was an important one. Today Harry is known for his tireless naturalist and conservation work, having played a major role in the conservation and restoration of Australia’s environment over the past fifty years. Harry became a household name bringing the outback to the living-rooms of Australia with his popular ABC television series, “In the Wild” in the 1970’s and ’80’s. Harry has many species named after him, including the Mulga snake – the Pseudechis butleri, and a spider – the Synothele butleri. In 1970, Harry was appointed a Member of the Order of the British Empire (upgraded to a Commander level in 1980) and in 1979 he was jointly awarded Australian of the Year. In 2012 Harry was appointed as a National Living Treasure by The National Trust of Australia and named an Officer of the Order of Australia (AO). SIEF funds supported the work of H.O. Webster,headmaster of Albany Primary School and a dedicated naturalist, who made a famous re-discovery of the Noisy Scrub Bird (Atrichornis clamosus), long believed extinct, at Two People Bay in Western Australia in December 1961. The grant from the SIEF helped to provide the equipment which first taped the calls of this bird,a primitive species allied to the lyre-bird. 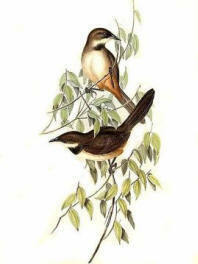 Confirmation of the scrub-bird’s presence began along campaign to protect the bird’s habitat from development as a town site began. Through the efforts of many conservationists, including H.R.H.the Prince Philip, Duke of Edinburgh and eminent Australian ornithologist Dr Dom Serventy, Norman Robinson, among others, eventually resulted in the cancellation of the town site and the gazettal, in 1967, of the Two Peoples Bay Nature Reserve with the purpose ‘Conservation of Fauna’. Sir Douglas Mawson Antarctic explorer (Source: University of Adelaide Archives). 2011 marked the one hundredth anniversary of Sir Douglas Mawson’s first Australasian Antarctic Expedition to Commonwealth Bay (1911-1914). This epic adventure was marred with tragedy and his remarkable survival under extraordinary circumstances that laid the foundation for Australia’s sovereign claim of forty two per cent of Antarctica. Between 1929 and 1931 Mawson also led The British Australian (and) New Zealand Antarctic Research Expedition (BANZARE) into Antarctica involving two voyages over consecutive southern summers. Thirteen volumes of scientific reports from the BANZARE were written between 1937 and 1975, on geology, oceanography, meteorology, terrestrial magnetism, zoology and botany. At the time of Mawson’s death in 1958 he had still not completed editorial work on all the papers resulting from his expedition, and this was later completed by his elder daughter, Mrs Patricia Thomas. Mrs Thomas was a graduate in zoology at the University of Adelaide and had been assisting her father in editing the biological BANZARE reports for some time before his death. Much work remained to be done and it was anticipated to take two years to complete the editing of these important papers so in 1958 The Science and Industry Endowment Fund (SIEF) provided assistance by way of a £300 grant, equivalent to approximately $8,000 in 2012, together with airfares to Canberra totalling £44.40 to meet with the Minister at his request to discuss with him a number matters relating to the publication of the reports.